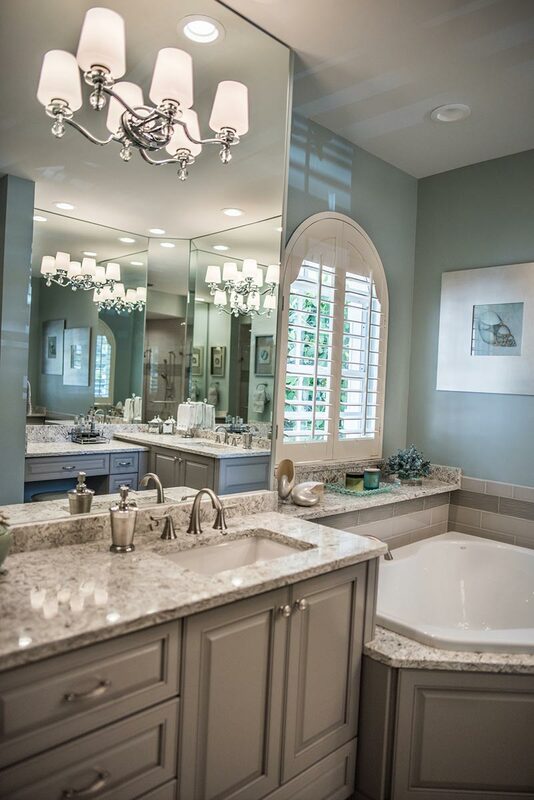 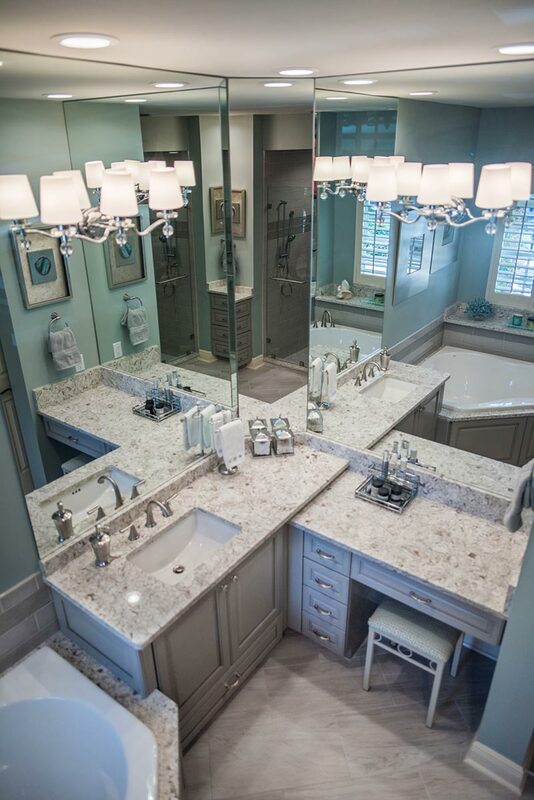 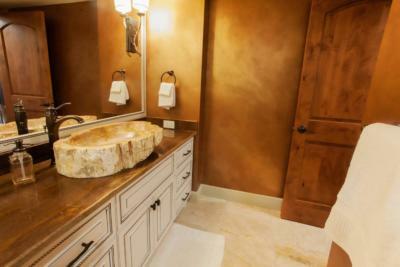 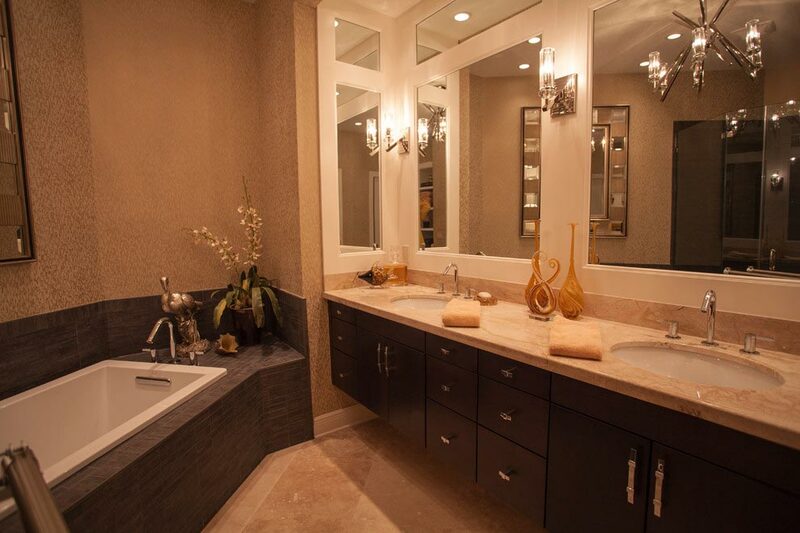 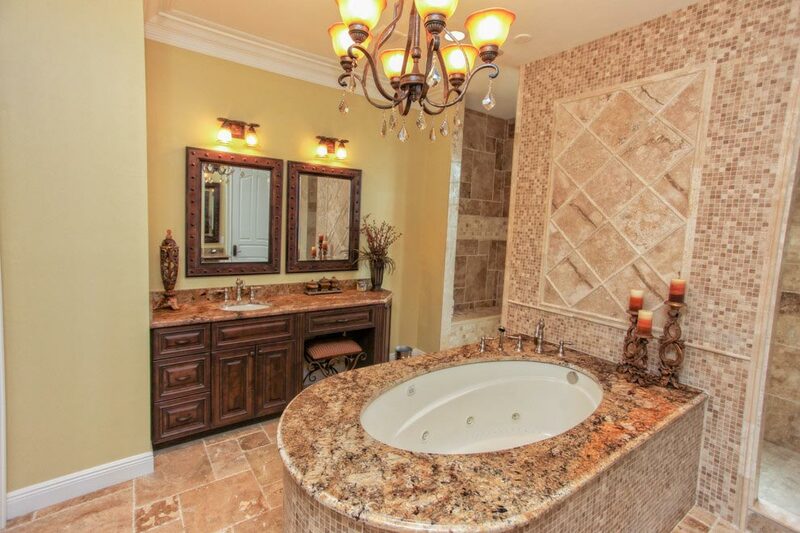 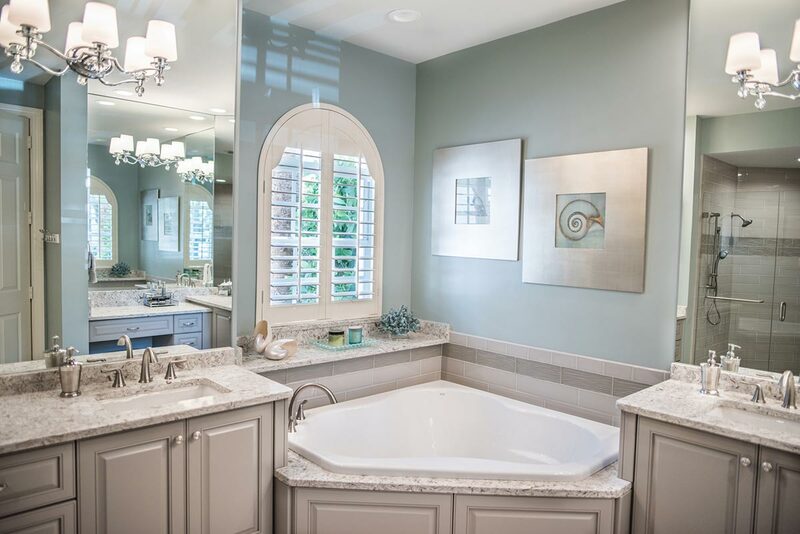 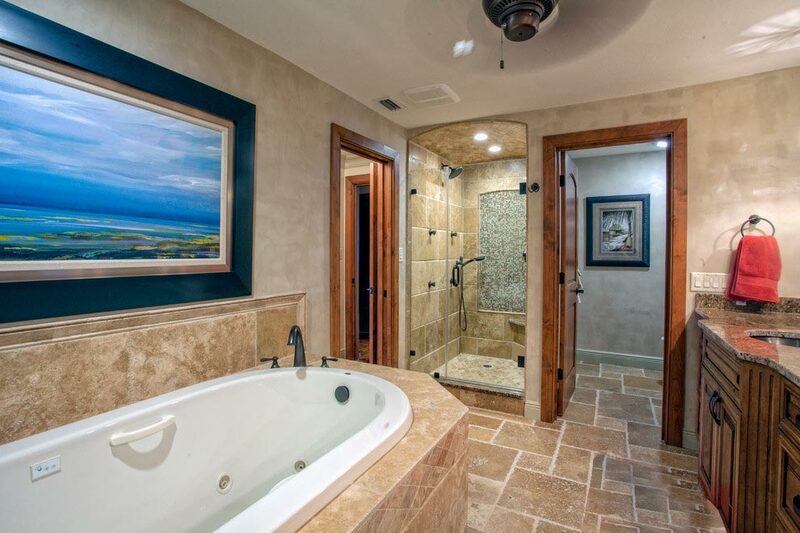 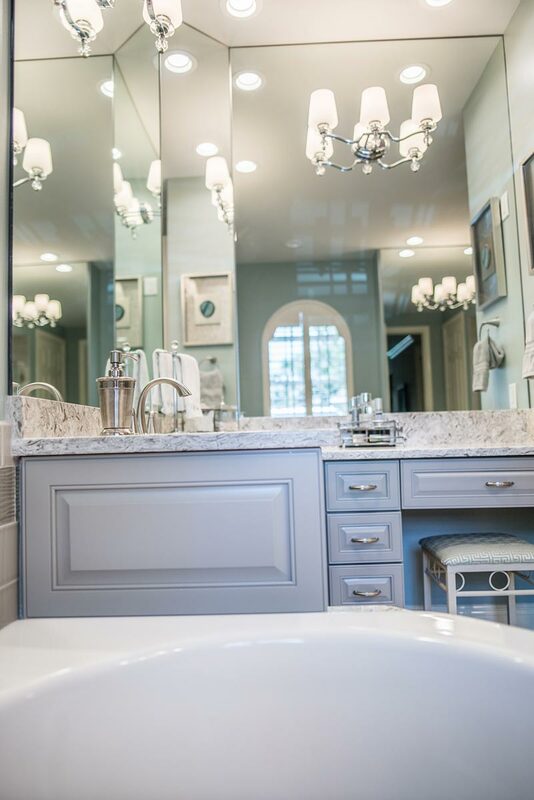 Allow the design experts at Cornerstone to transform your space and make your bathroom feel like a luxurious retreat. 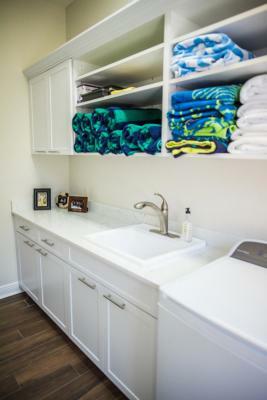 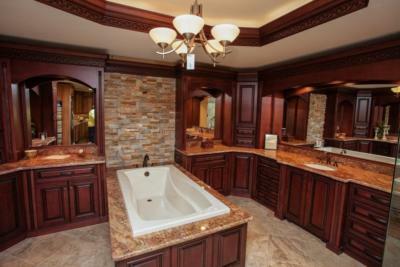 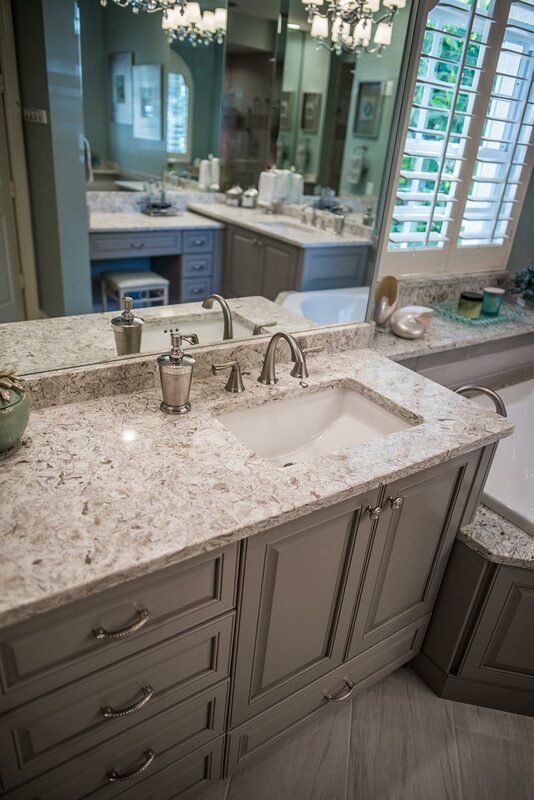 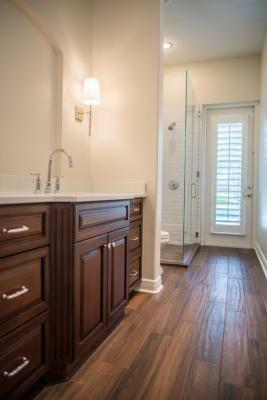 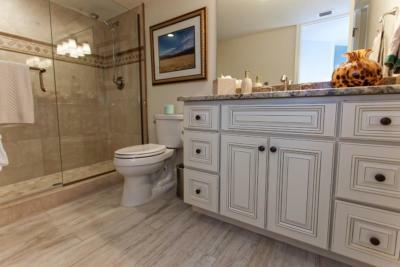 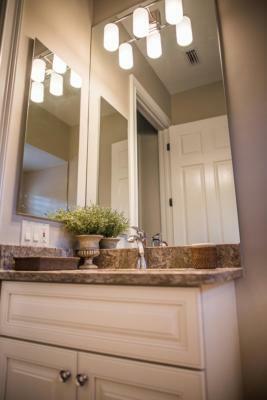 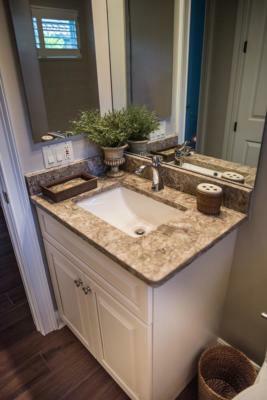 Remodeling or refacing your custom bathroom cabinets? 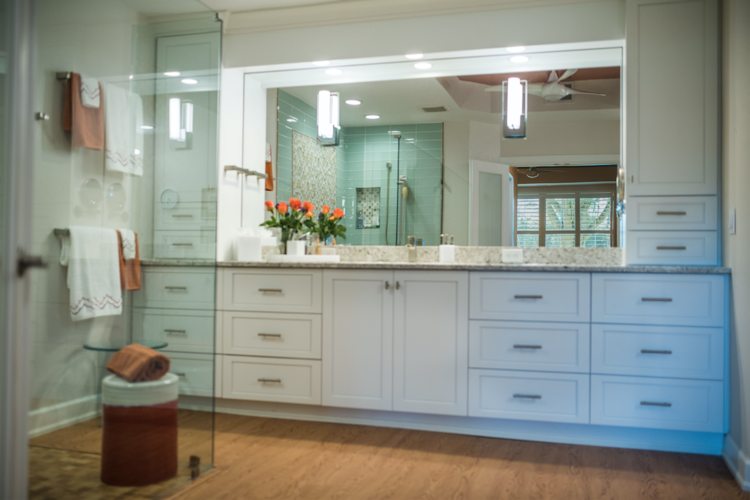 Select from our beautiful Thermofoil or wood doors to give your bath a fresh, new look! 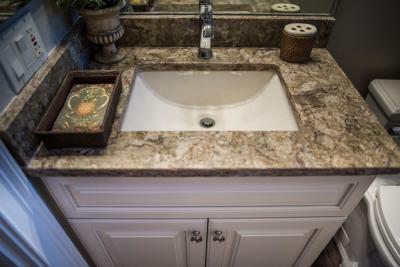 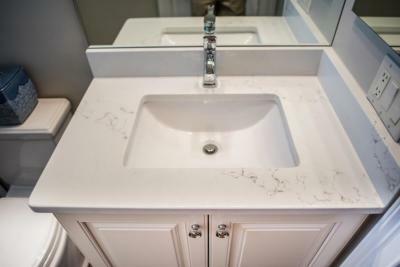 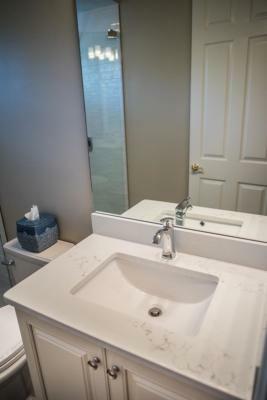 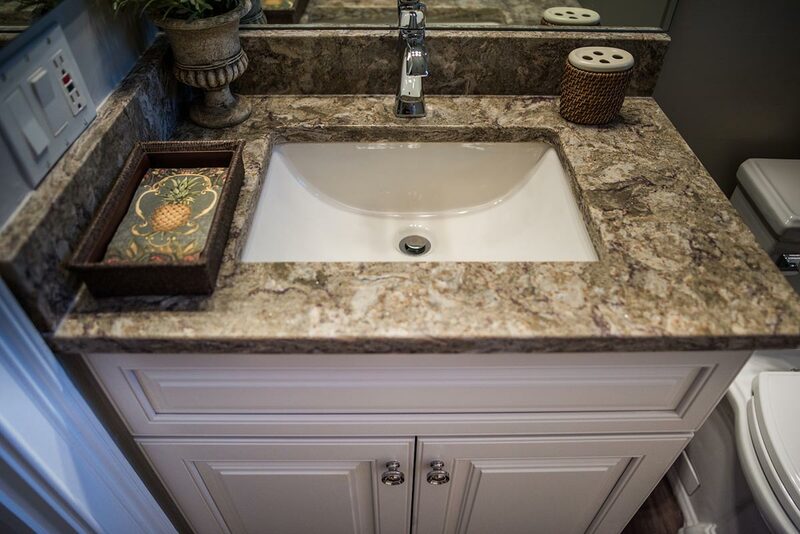 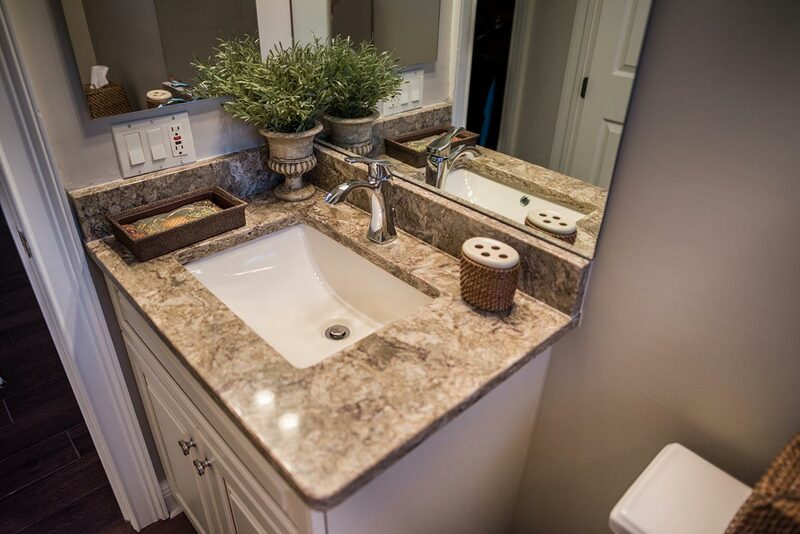 Redesigning your custom vanity countertops? Choose from solid-surface countertops with integrated sinks, elegant granite, marble or gorgeous stone quartz countertops! 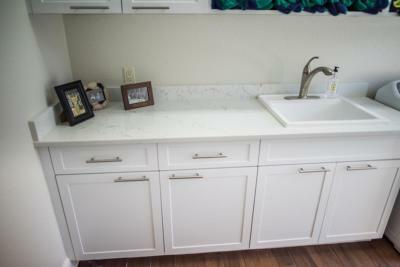 Did we mention that we’ll fabricate your counters in-house? 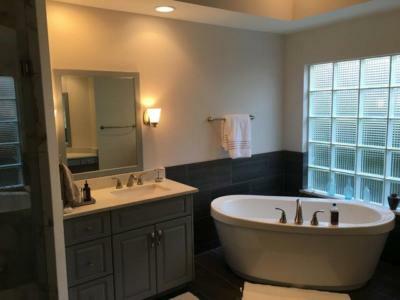 Replacing your tub or shower area? 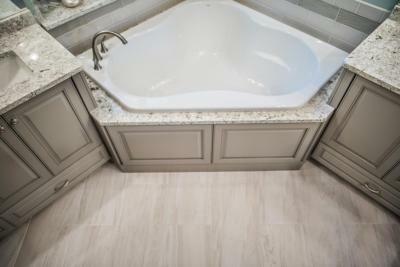 Once demolished, we’ll inspect for water damage or other problems that might have occurred under your tub or shower. 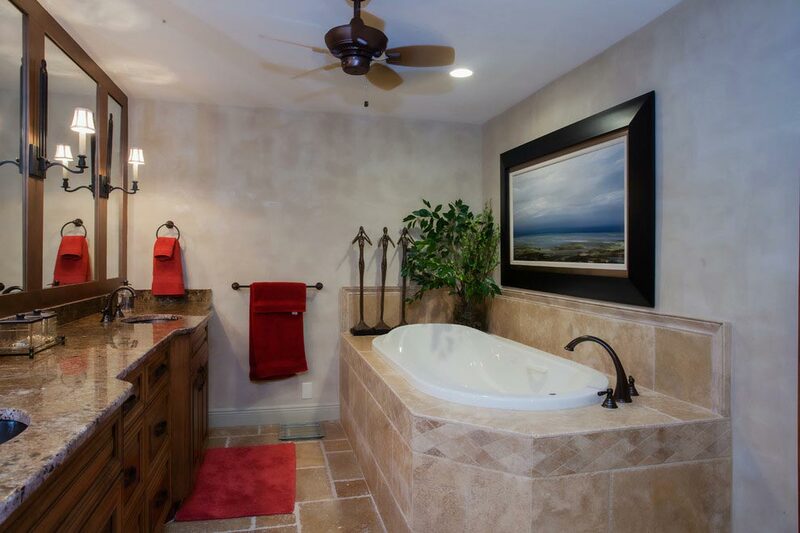 Next, we’ll install a new tub or pan, curb, and liner for the shower. 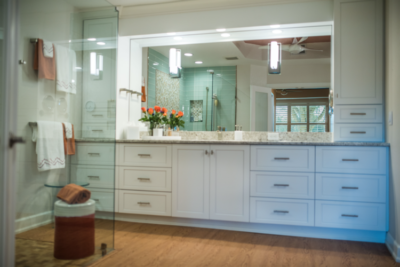 With the right fixtures and accessories – possibly a frameless glass door to finish it off – your tub or shower area will be just the way you pictured it! 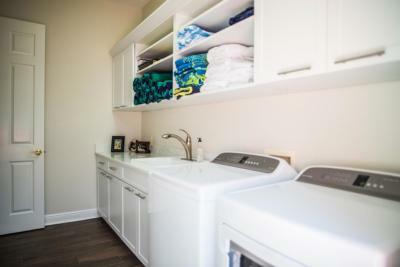 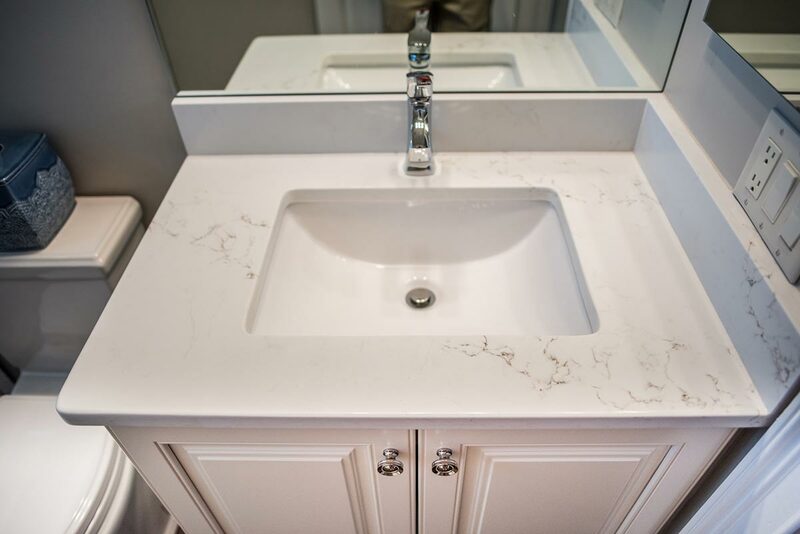 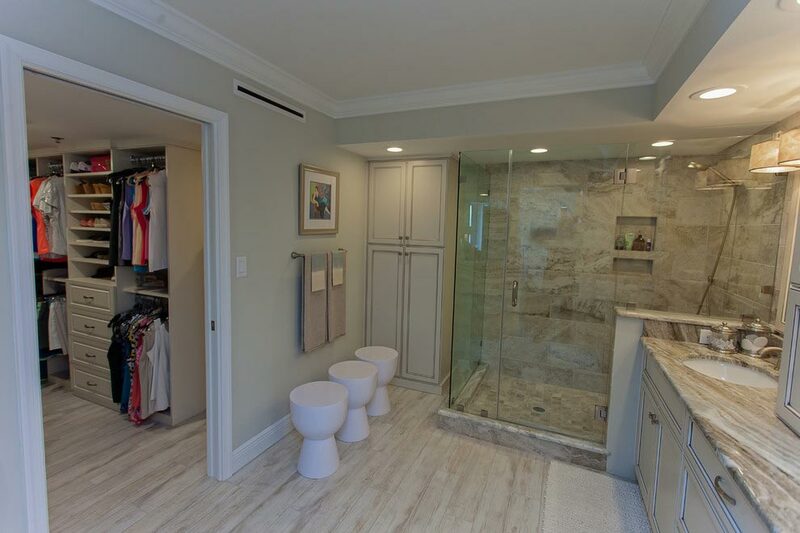 We believe that attention to detail is critical when it comes to redesigning bathrooms, kitchens, and everything in between. 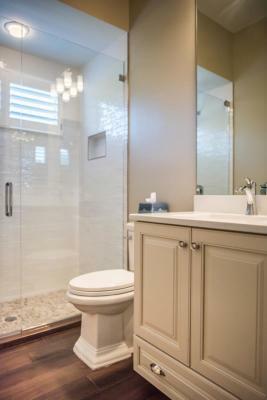 All you need to do is bring us your ideas for your bathroom remodel and our experienced staff will handle the rest! Check out some of our completed projects below.